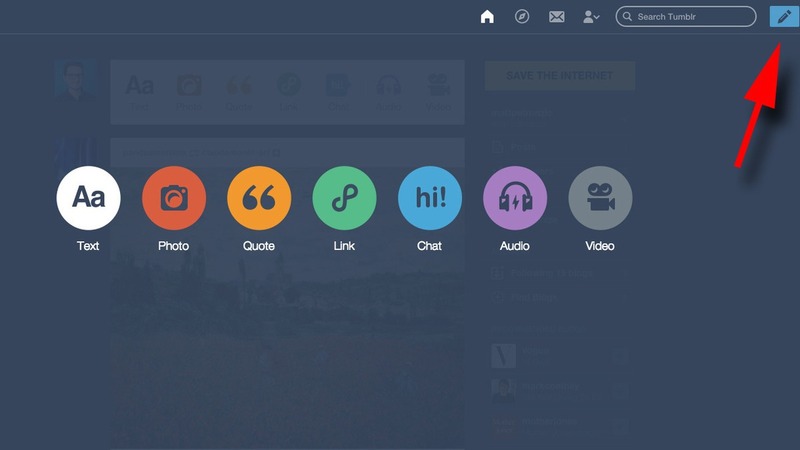 Tumblr recently released a new user interface for content creation. 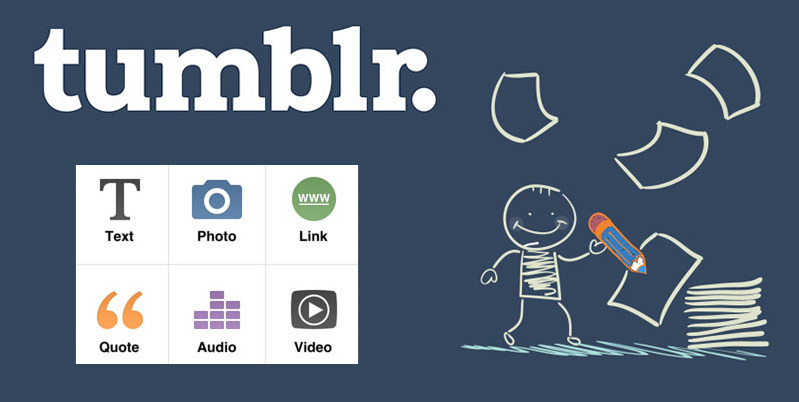 Tumblr is a microblogging service that allows users to post multimedia and other content to a short-form blog. The new set of tools makes writing and adding media on Tumblr more dynamic than before. You can, for instance, add an image or video anywhere simply by clicking the ⊕ symbol that appears when you stat a new line of text. The update is also meant to help you better visualize what your posts will actually look like once you publish – everything should look the same as you write it as it will once made public. This aided by a new formatting workflow – instead of using a traditional toolbar, you’ll see editing tools dynamically pop up over selected text, including new ones such as subheads and horizontal lines.. Text rendering has been improved, too. To create new content, you can still head to your Tumblr dashboard and select from the set of icons to create Text, Photo, Quote, Link, Chat, Audio or Video posts. But now, you can bring up these same options at any point from your dashboard by clicking the rectangular icon with a pencil in it at the top-right of your screen. So if you see something in the endless scroll of content that inspires you to get blogging, you no longer have to scroll all the way back to the top to get started. 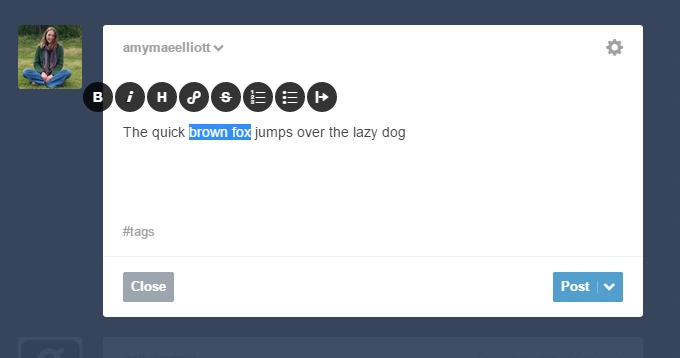 Tumblr is trying to incorporate more features that cater to longer forms of writing. One of those features is the ability to stylize text simply by highlighting words anywhere in a post. A pop-up then offers options to embolden and italicize text, create a heading, add a link, strike through text, make a numbered or bulleted list, and insert a block quote. These options are especially helpful for those who don’t know or can’t remember HTML codes. 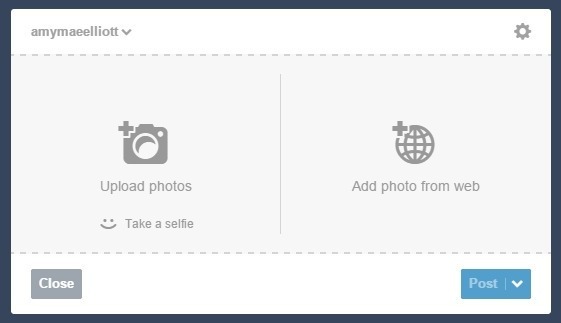 Creating a photo post has always been pretty simple — you can upload pics or add a photo via URL. But now, if you hover over the smiley face icon, the option to take a selfie magically appears. This taps into your webcam, allowing you to easily post photos of yourself to your Tumblr page.